Interrupting this trip recap to pose a question.  What do you want to read about on Brooklyn Limestone? As you know, the blog started out as purely renovation but its evolved over time. Now its more about Mrs. Limestone (and no, I don't usually speak about myself in the third person but cut me some slack here!). Renovation is over but the decor and design is a project that I'll continue to talk endlessly about with a smattering of entertaining and travel posts thrown in. I hope its been interesting to read along the way. Being a rather dull person, its hard to decide what is blog worthy and what is not. I could use a little help. Summer is here which means I will likely be spending more time OUT of the house. And while I do have a couple of good projects I think you will really enjoy, I'd love a little help coming up with more. (Not to mention I'm curious about what you're thinking.) Something about the house you'd like to see that I haven't shared already? Something you think I should try or do in here? Whatever you have on your mind, I'd like to know. And just very randomly I want to share that I think I'm the only person in the country who is thinking about Halloween right now. But I am. I know, I know - its forever away but that doesn't stop the wheels from turning! Beautiful water! Excuse me while I'm blonde for a moment, but what exactly is that in the sand? It doesn't look like footprints to me. I love it all so whatever you wish to write about, there's a pretty good bet that I'll read it! While I love me a dramatic before & after, I REALLY LOVE little updates too. Even if it's a minor thing: a new pillow, a bouquet of flowers, something the cat did (you still have a cat right? ), or just a recap of your weekend/life. I eat this stuff up. Freckles - Thanks. You really don't want to know what the cat did! Yesterday he threw up on my comforter for the millionth time. For the price of the dry cleaning, I could have bought 4 sets already! That earring holder was inspired by your lovely frame . My husband got a real kick out of those moustache guys and their webiste , thanks for sharing . I love you blog! Post about anything! Like the posters above, I love little household updates too, entertainment posts, your travel posts (love the Alaska photos!!!!) Since I discovered your blog, I've gone back and read through the archives and love to see any little bits you can share about your home since now i feel more of a connection to your beautiful house after seeing everything it took to get to where you are now. Does that make sense?? I'm wondering whatever happened to the curtains in your front room - any updates????? I love your blog and love that you blog about all things you love! And I've really enjoyed going on your trips with you via your photos! I don't do much traveling so I appreciate seeing where others do go. And I too am curious of the latest update on the curtains? Hugs from Conroe, TX! love to hear about things you wished you might have done or should have done differently - of course you did everything so wonderfully that this may not apply! I love to see other people's closets, drawers, cupboards and crafty projects. Love for you to take us on a shopping trip or a day in the life of Mrs. Limestone. Share how you plan a project, the set-up or how you might save to work towards a project. Do you exercise? Will you decorate for the Summer? Show us outside....and it is ok if it includes Alaska! Have you ever made baked Alaska? I would love to hear more about your neighborhood, Brooklyn, NYC, etc. I love what you've been doing with your blog. I'd love to see more Brooklyn/NYC (since I miss it so) posts...your favorite places to shop/eat/hang out etc. Your photography is AWESOME so some photo safaris around your 'hood would be cool! You really do have a great eye. I adore your blog. Maybe I'm just a Nosey Nelly but I'm so curious about your lovely home, your vacations, how you entertain. Everything you do is beautiful and inspirational. I'm always disappointed when you don't post daily (no pressure, I understand how it works, but I get a twinge of sadness when I can't read something, ANYTHING new about you/house/etc). I like the design posts, and the thrift store adventures. I also like the travel posts (although Alaska is not my cup of tea)...and I wouldn't mind seeing more of your ventures out and about in Brooklyn. I also would like it if you kept us more updated on the status of your living room curtains/coffee table. ITA with the others. I love posts on small updates around the house and your party planning/invitation posts are so drool worthy! Ya know what Mrs Limestone...You have a great voice. You could blog about the cat throwing up...if that moves you. It would work. Keep showing us peaks of your beautiful home as it changes...even as it stagnates (you know what I mean). Don't worry about us...just talk...show and tell...make us think. Do what you do. Don't overthink it. I like the decor stuff and life stuff, it's all good. But I really like your projects and decor thoughts, ideas and plans and then after pics. I love it all...I'm not picky. I love hearing about the parties you've held or helped your friends with. I always like to hear details about entertaining. I'd also love to hear about the creative process behind your business, and about your daily life in Brooklyn. I'm slightly worried that I sound like a stalker now! I love your decorating and entertaining projects most. I like the trip recaps too because I get to live vicariously through you. To begin with, Mrs. Limestone, greetings from Spain! I do like your blog and I think that the combination of travel information and house decoration is very interesting. If I could choose I woul love to hear about DIY projects (real fan!) stores, things you see and like, houses you see and love, kind of stuff like this. Above all, congratulations, I promise to keep on reading wathever you decide. Keep up the amazing work - I'm a loyal follower ! I adore the transformations you've done in your house and reading about the way you came about it. You have a fabulous blog and I'll keep reading it no matter what the topic. I like the idea of seeing more of Brooklyn. Would love to see more detailed shots of the kitchen. I just love reading whatever you write so to me the blog has been just perfect. Since I'm totally jealous that I don't live in Brooklyn it would be fun to see more about activities you do around there. I'm heading out to the brooklyn flea on the 6th. Have you been? Anything good? Had to drop in and say you aren't alone...I'm thinking about Halloween too, but I was too darn embarassed to admit it until now! What about incorporating more user submissions? I loved reading about Jeannine's gorgeous bathroom! It'd be great to see some before's & after's from your faithful readers! Love your blog as is, but besides seeing your beautiful house I love to see all the details of your parties and craftiness. Halloween is my hands down favorite holiday and look forward to seeing what you have up your sleeve this year. Everything that I thought of has already been said! But for the record, I would be very interested in reading about your neighbourhood, shops that you like to go to, cafes, parks. I also love any little crafty project, so that sort of thing always makes an interesting post. But as the others have said, I already think your blog is fab! Just continue to let us live vicariously through you. I have kids and live in the suburbs of Texas, and while I am content, it is fun to peer into an alternate universe. You are my Bizarro World. don't try to force it. if you're not doing diy or decorating at the moment? don't feel limited to posting about it. blogs are fun! write what you're interested in, and we'll keep reading! I'd be interested in more source information for both renovating and decorating. We're in Brooklyn and about to redo a large portion of our rowhouse, so all of your research would be incredibly useful, if you care to pass it on. Thanks so much. I'm a lot older than you, but your renovation has been an inspiration to me. 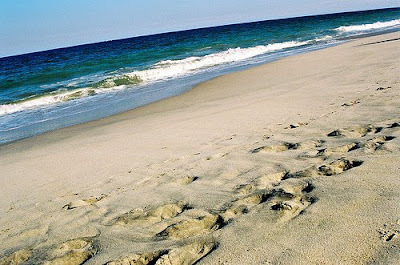 I can't get enough of your photos so whatever path you take with your blog please include them! You're absolutely not the only one thinking about Halloween! I've got fall decor on the brain, especially with the cool rainy days we had earlier this week. Do you go all out for your spooky decor? Or do you go classic fall decor only?